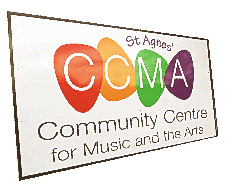 St. Agnes’ Community Centre for Music and the Arts is based at Armagh Road, Crumlin, Dublin and offers music tuition to people of all ages across a number of instruments. Whether you are new to music, at any age, or want to return after some absence we hope you will find something for you at the centre. 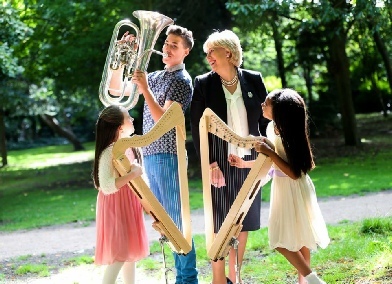 Music lessons are offered in violin, piano, piano accordion, tin whistle, guitar, harp, brass, bodhrán and baby music, while art (watercolour and sketching) and ballet are also part of the programme. It is an intergenerational project where age is irrelevant and is aimed at bringing all members of the community together to enjoy affordable music classes and other music and arts activities. St. Agnes CCMA is affiliated to St Agnes violin project www.stagnesmusiccrumlin.com This award winning project began in 2006, and from an initial violin programme has grown into a school orchestra, a parents orchestra, and gave rise to a community Musical Society. Before posting any photographs or data on Facebook, Twitter, Snapchat or other social media please request and ensure that you have the permission of the person(s) concerned. This is in the interest of and for the protection, safety and privacy of all members, students and staff of CCMA. This policy applies to personnel under the umbrella of the CCMA. Full list of classes here. 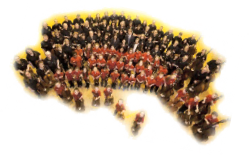 Crumlin Community Choir meet every Thursday evening in the St Agnes Community Centre for Music and the Arts(CCMA). The Choir is Directed by Joe Fitzgerald. Click here for recent events and activities including Nationwide TV recording, playing at Croke Park for Pope Francis, choir and orchestra concerts, charity events etc.